书籍简介: Internationally renowned leadership authority and bestselling author Stephen R. Covey presents a personal hands-on companion to the landmark The 7 Habits of Highly Effective People, which has become a touchstone for individuals, families, and businesses around the world. The overwhelming success of Stephen R. Covey's principle-centered philosophy is a testament to the millions who have benefited from his lessons, and now, with The 7 Habits of Highly Effective People Personal Workbook, they can further explore and understand this tried-and-true approach. With the same clarity and assurance Covey's fans have come to appreciate, this individualized workbook teaches readers to fully internalize the 7 Habits through private and thought-provoking exercises, whether they are already familiar with the principles or not. This reference offers solutions to both personal and professional problems by promoting and teaching fairness, integrity, honesty, and dignity. 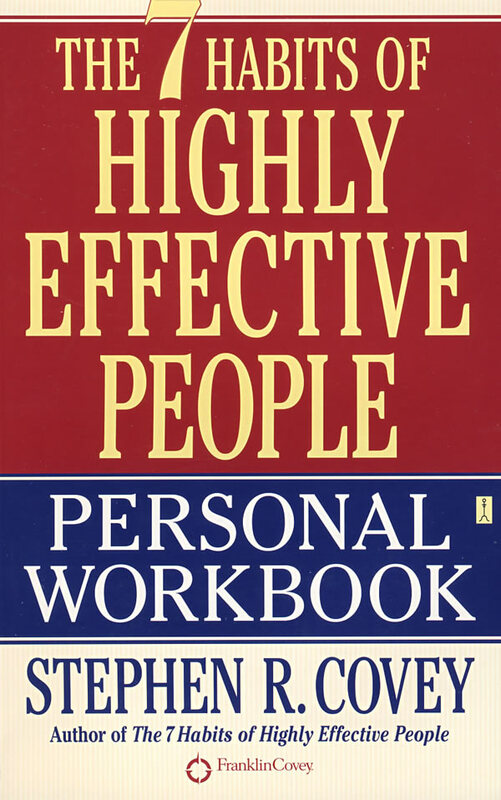 An engaging new companion to a bestselling classic, The 7 Habits of Highly Effective People Personal Workbook will help readers set goals, improve relationships, and create a path to life effectiveness.